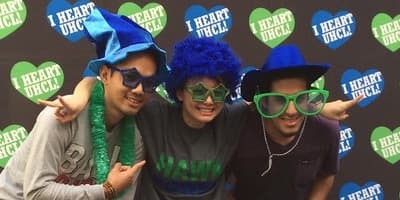 Join us for UHCL Day at your community college. Get admitted on the spot, learn about the Automatic Transfer Scholarship and more! Join us for an exciting day full of valuable information about UHCL’s beautiful Pearland campus and its offerings. Bring your friends and family to learn about program and course offerings and participate in On-the-Spot Admissions. With a Doctor of Education in Educational Leadership from University of Houston-Clear Lake's College of Education, you will have the skills to become an educational leader who can effect broader change. Earn Your BSN at UHCL Pearland! University of Houston-Clear Lake's RN-BSN program is customized for working nursing professionals. You can choose from full-time and part-time course options to work around your busy schedule and earn your degree at your own pace. University of Houston-Clear Lake at Pearland has been strengthening the educational landscape of the greater Pearland area since 2010. Located just off Pearland Parkway a few miles south of Beltway 8, UH-Clear Lake at Pearland offers undergraduate and graduate degree programs in areas such as education, criminology and more. 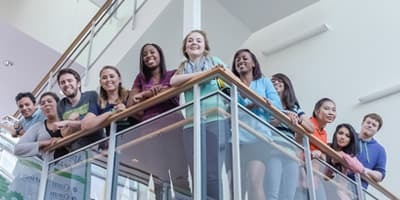 Undergraduates with more than 45 credit hours can complete their bachelor's degrees in eight programs, while graduate students can receive their master's degrees in six programs. 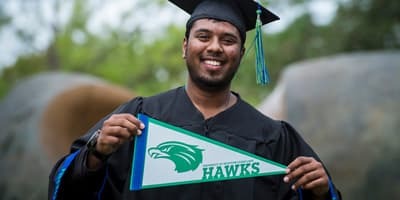 With degree options that include business, behavioral science, education and nursing, UHCL Pearland offers a great educational opportunity for those living in the growing Pearland area and adjoining communities, including students at other campuses. Since 2017, UHCL Pearland has hosted Alvin Community College core classes, which are transferrable to UHCL. Beginning in fall 2018, students in UHCL’s Doctor of Education in Educational Leadership program can take classes at UHCL Pearland. Unsure about how to enroll in classes at UHCL Pearland? Need assistance choosing the right classes for your degree program? We can help! Our team of advisers will provide you with all of your admissions and academic needs – including financial aid and specialized support for international students and veterans. We’re looking out for your best interests at UHCL Pearland. You have access to a wealth of services as a student, whether you need tutoring, career advice, counseling or anything else you might require to have a successful educational experience.